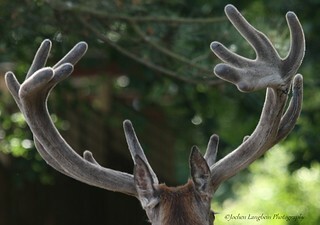 The spectacular rate at which red deer antlers regrow year on year never ceases to amaze and fascinate me. 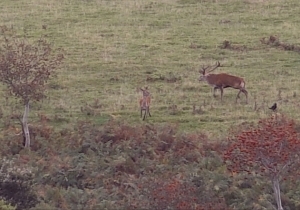 Since 2014 I have been fortunate enough to observe and film two particular wild Exmoor stags closely, using a number of wildlife trail cameras that I set up at some of their favourite haunts. In addition to this, I have also been venturing out every fortnight or so with a video and stills camera in hope of filming them regularly. In some weeks one or both stags would pass the trail cameras several times a day. In this photo blog – where for ease of identification I have named the two stags ‘Cedar’ and ‘Ash’- I want to look mainly at the time of antler casting and re-growth of new antlers through the spring months. 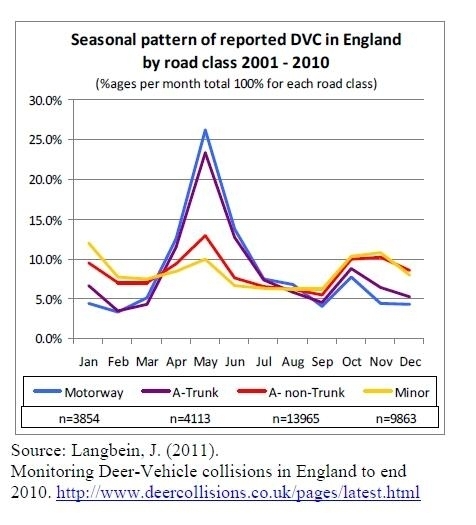 First, however, a bit of background on the antler cycle. With the exception of the introduced Chinese Water Deer, males in each of the other five deer species living in the wild in Britain (Red, Roe, Sika, Fallow and Muntjac deer) shed their antlers annually and regrow a complete new set every year. 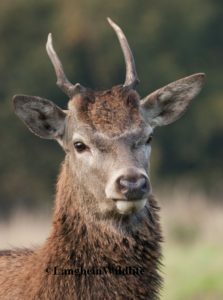 Whilst roe and muntjac antlers are only of fairly modest size in relation to their body, in the case of red deer stags each antler may be up to – or sometimes even exceed – 1 metre long. 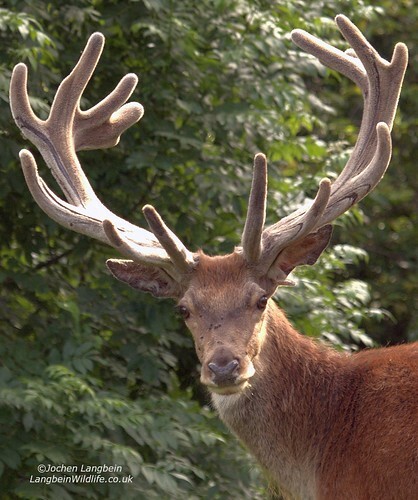 For red stags in their prime, this may amount to regrowth approaching 5 kg to 9 kg of new bone within a period of less than 4 months, and add up to 7 cm to the overall length of each antler per week. In moose (European Elk) the growth is even more amazing, with growth of up to 419 grams of antler recorded in a single day. In Britain, the first set of antlers does not usually develop before they are 10 months old in free-living red deer, although with supplementary feed first antlers may already develop in calves on some deer farms and parks. In good habitats the first antlers in the wild will commonly be an unbranched pair of spikes 5 to 35 cm in length, while in prickets in poorer condition only partially developed pedicles may barely break through the skin. After annual casting of their antlers in spring, each new set grown by red deer then tends to become progressively more branched, increasing the number and length of tines and the weight of the antlers year on year, up until around the age of eleven. 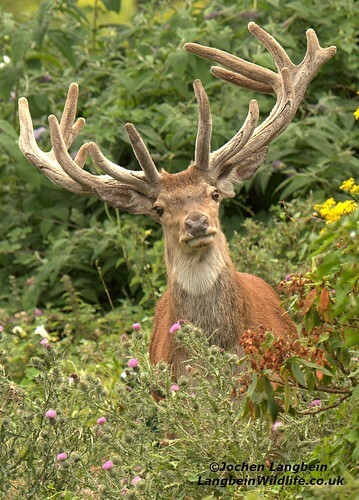 Depending on physical condition of the animal, new antlers in later years may be found to be ‘going back’ – that is, not growing to the same length or amount of branching of past years, though even then will often still show thicker beams. Stag ‘Ash’ (left) & ‘Cedar’ (right) on 11/03/2016 with their 12 point and 16 points set of antlers. Antler size or numbers of tines per se is, however, at best an imprecise indicator of age, with beam width, breadth of coronet and height of coronet above the skull much better indicators. Commonly, each red deer antler consists of points (tines) on a main beam -not unlike a tree branch- with a fork and cup of points at the top. In the closely related Wapiti from North America the top tines are not generally cupped, and some tines are directed backwards. 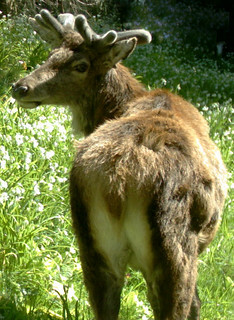 This characteristic may also be seen in some red deer, quite possibly as result of previous hybridisation with cross-bred park deer. 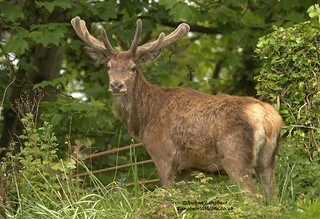 The maximum total number of tines a mature red deer stag attains in Britain is variable. 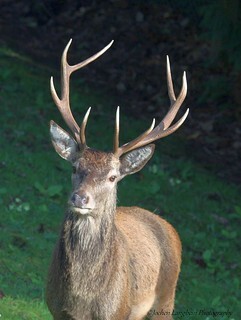 Eight to ten points is common among fully grown adults in the wild, though up to 16 (8 per antler) are not unusual if they are allowed to reach over 7 to 10 years old, whereas 20 or more points (which would be referred to “all his rights and 7-a-top” on Exmoor) is nowadays quite exceptional in our wild populations. Nevertheless, with selective breeding and good nutrition from an early age, near 50 points have been recorded in some British parks. The picture above (and short video clip below) shows Cedar and Ash in early March 2016 while still in hard antler. Big stags like these are usually also the first to cast their antlers. 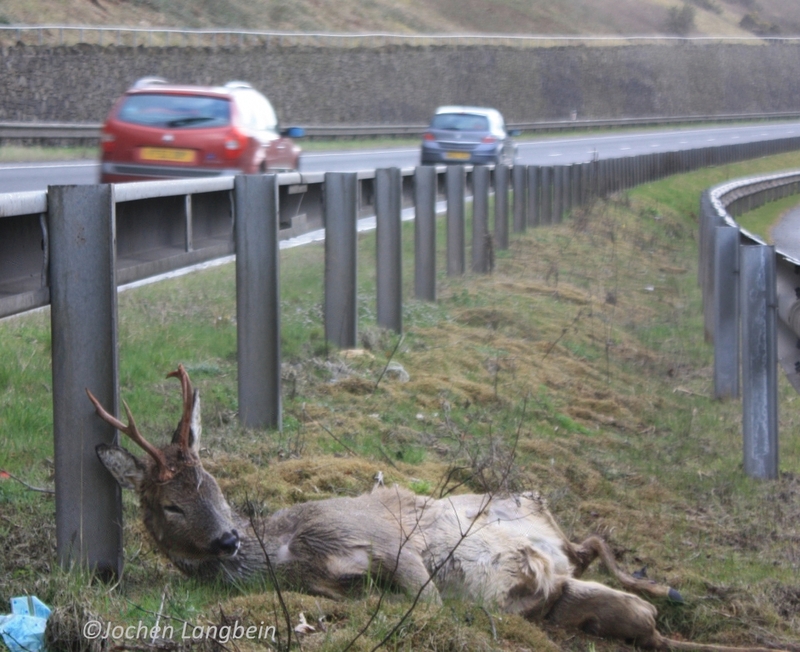 On Exmoor this will commonly occur during the early weeks of March, though some supplementary fed stags in enclosed British park herds may cast as early as mid to late February in some years. 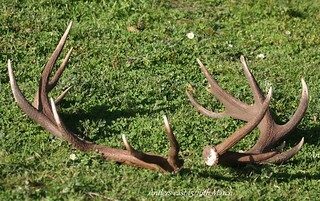 Younger stags below 4 years old on the other hand may not shed their antlers until well into April or even early May. It so happened 2016 that Cedar and Ash both completed casting on the very same day – 17th March (two days later than Cedar had cast in the previous year). On my trail-cameras I captured Cedar that year on the 16th with just one antler remaining, but Ash with still both of his. All four of their antlers were however found the next day, all having been cast within less than 100 metres of each other. 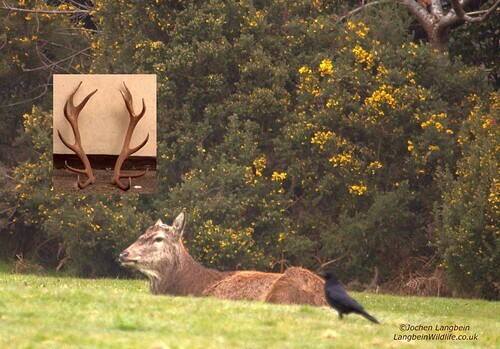 Cedar: cast antlers 15/03/2015 (left) and with re-growth nearly complete by 18th June that year. 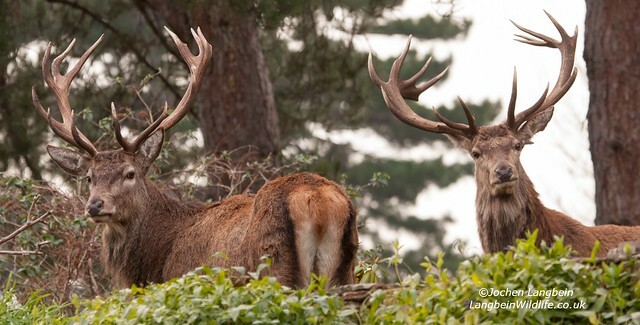 It was intriguing to observe that both these stags cast on the same day in 2016, as Cedar was almost certainly 8 or more years older than Ash at the time. In autumn 2014, Ash still had only 10 points in total, and did not reach ‘3 a top’ (Royal) size until 2015. 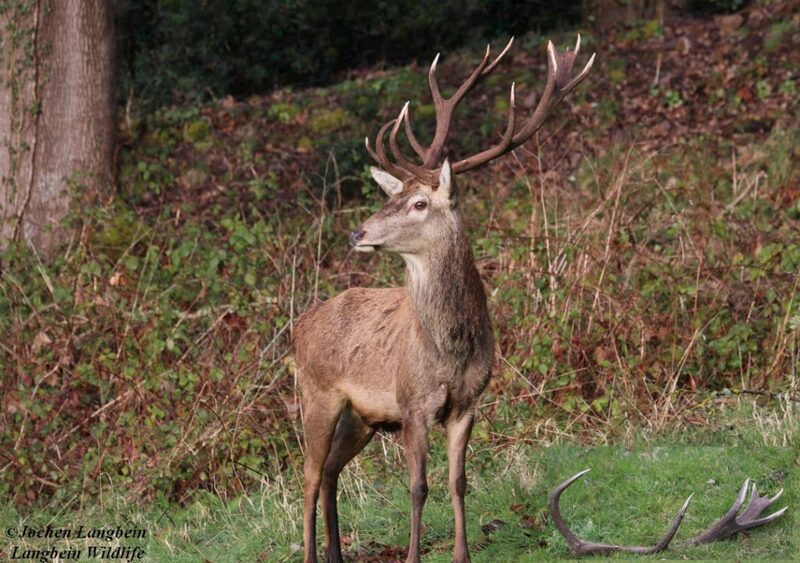 The older stag, Cedar, however was already regularly observed in the same region of Exmoor with 4 or more points a-top five years ago, and was almost certainly already well over 10 years old in 2014. Cedar did show some signs of reduced condition in spring 2016, but (as seen below) his antlers grew to a magnificent size again. The pictures of him below taken in mid-April and mid-May 2016 showed he was well on the way even then. Cedar 17th April (right) and 17th May 2016 (below) with 1 month and 2 months of regrowth. Ash on the other hand had been looking in excellent condition throughout the spring, but as ever is a rather curious and accident prone stag. In 2015 he managed to entangle his antlers in soft netting, presumably whilst raiding strawberries in allotments on the edge of Exmoor. In 2016, at end of May I filmed him while entangled in a long length of yellow rope someone had discarded, but fortunately he managed to get rid of much of this by time I next saw him in early June. 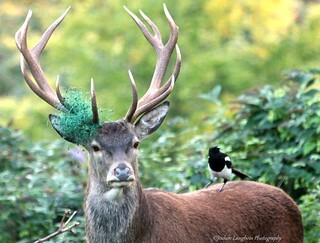 Fingers crossed he will not get caught up by this or damage the soft vulnerable antlers whilst still in velvet. 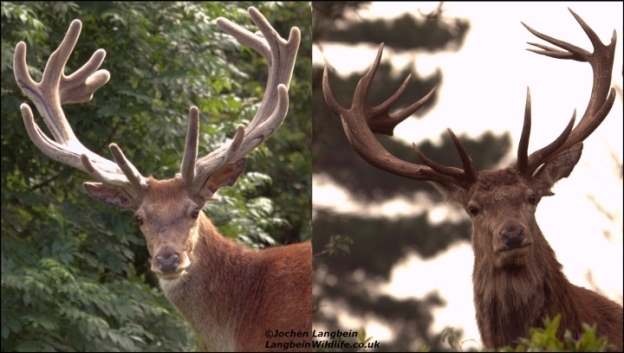 Ash in March 2015 (before casting) and with new antlers in Summer 2015, having been at the strawberries! 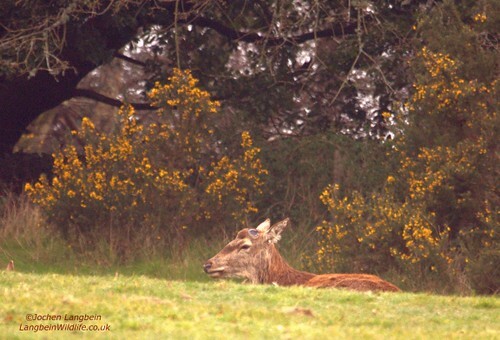 Getting good close-up pictures of both these stags again during mid-June eluded me fro some time. The picture above shows Cedar in mid-June 2015. To see how his antlers will compare in 2016, follow the updates I will post now and then below. Update Mid-July 2016 : Glad to report that having found Cedar again, his new set of antlers (below) look set to exceed even those from last year again. So far at least 17 points (all his rights and 5 & 6 a-top), though may well show 18 points once clean. Ash also already shows at least 14 points (3 and 5 a-top) this year (picture yet to add). Update Late August 2016 : Ash has cleaned his antlers (including the annoying rope he had tangled in them). 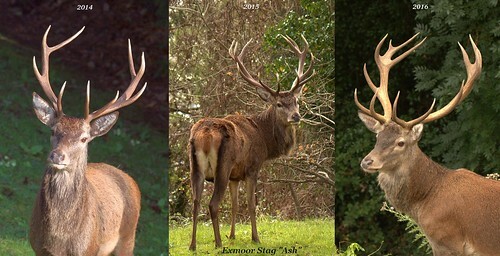 Collage below shows progression of Ash’s clean antlers in 3 successive years. Update mid September 2016: Finally – while seeing also Cedar close up since shedding velvet had eluded me for a while, here he is at the “Selfie cam” showing off his new tines. 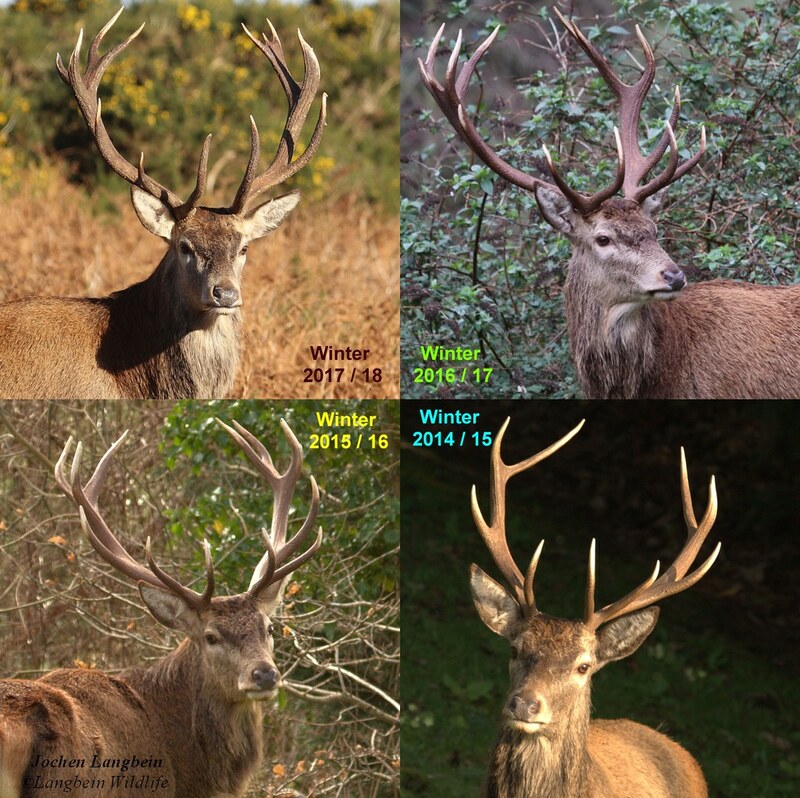 Despite carrying an injury from last year that has become infected and grown into a large abscess, his antlers have grown bigger than ever (All his Rights and 6 a-top one side, 5 a-top (nearly six) the other. Bring on the rut ! Will be interesting to see (and report soon) how far he wanders. PS. 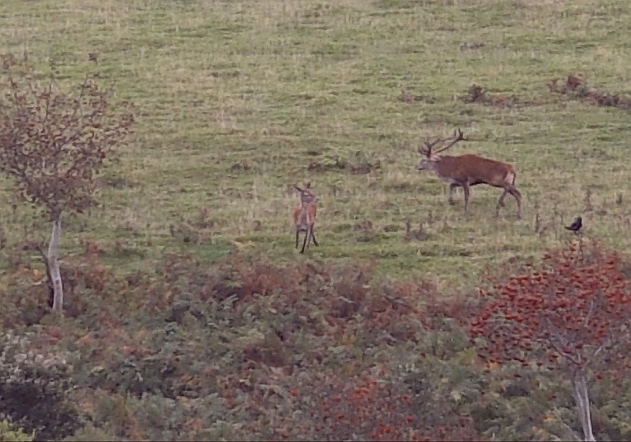 In the end in autumn 2016 neither of the two Stags travelled very far for the rut. Cedar was mostly found on a nearby hill within 2 miles throughout most of October, while Ash traveled around a bit more widely from place to place but also usually seen less than 2 – 3 miles of his winter / summer range. Picture below shows Cedar back up on the Exmoor Hills during mid-October 2016 rounding up one of his hinds. Unfortunately, for Cedar this was his last rut. Although he survived through into winter, by February 2017 the subcutaneous fibroma he had been carrying for many months ruptured and became infected, like leading to pneumonia; leading to his death at the fine old age of between 14 to 16 years old – which far exceeds the common age stags will live to in the wild. Update November 2017: Getting close up photos of Ash in 2017 eluded me for a while. 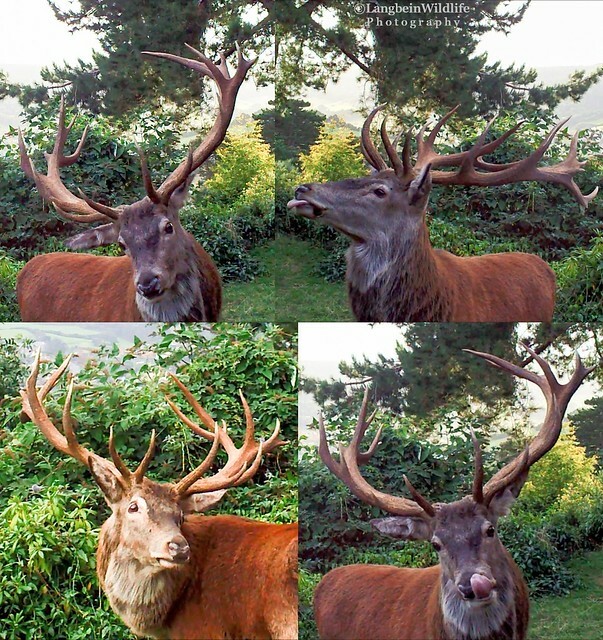 However, here below now are 4 views of him, including his latest set of antlers. This year they are longer than last; Rights & 4 one side, Brow Tray 5 on the other. Update March 2018: I was delighted to be able to film Ash close up again during mid March, when he still had both antlers, and again on 20th March when he cast. See photo below, with insert showing the left shed antler. I have not yet found his right – though expect someone will have by now. If so be great if could contact me, as would be intrigued to know how far away he second was cast. 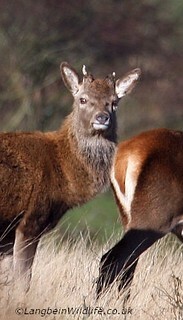 This entry was posted in Deer, Exmoor, Wildlife and tagged casting, Exmoor, red deer. antlers, Spring, Stags on March 24, 2018 by jochblog.